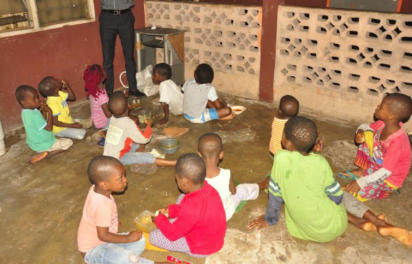 The Edo State Government has evacuated 15 children from God’s Own Orphanage, in Benin City, pending conclusion of ongoing investigation of the case of a child that was allegedly stolen at Christ Embassy, Oregun, Lagos and found at the orphanage in Benin. Some of the children at God’s Own Orphanage, off Siluko Road, in Benin City, Edo State. The four-year-old, identified as Elo Ogidi, was said to have been stolen during a church service at Christ Embassy in Oregun, in July and was found last Friday in God’s Own Orphanage when policemen raided the facility after a tip-off. Speaking after sealing off the centre, located at 25 Davies Street, off 2nd Dr. Garrick Layout, off Siluko Road, Benin City, Commissioner for Women Affairs and Social Development, Hon. Magdalene Ohenhen, noted that management of the centre did not follow due process in admitting Elo into the home. During the operation, the commissioner and her team also discovered that the orphanage had three other children who were not documented with the ministry as required by law. Ohenhen said, “there are rules and regulations guiding the operations of orphanages, but the management of God’s Own Orphanage did not abide by these rules which is why we have shut it. She noted that the children in the orphanage numbering about 15 are being moved to a safer centre, where they will be under the custody of the Edo State Government, pending when investigation on the activities of the home is concluded.